Chadron Intermediate School: Surviving the CIS Escape Room! 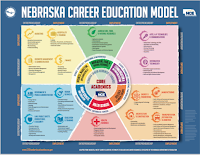 We begin our NSCAS (Nebraska Student-Centered Assessment System) on April 9th. The NSCAS is our required "State Test" that we take each year. The State of Nebraska can compare all of it's schools by using the data and make important decision rules.. We take the English Language Arts (ELA) and Math portions of this assessment in the next two weeks. After that we will begin the NWEA MAPs testing. The MAPS test help us measure the year's growth. Get a good nights sleep before a big day of testing! Smart kids eat a healthy breakfast everyday! Brainpower: It requires a healthy mind and body!